IHOP restaurants have actually taken a giant step in waffle development with “Waffullicious Waffles”: for the first time, those same great ingredients guests love on top of their waffle are now baked right in, so each bite of a Waffullicious Waffle is filled with the same terrific flavor inside every bite as well as on top. 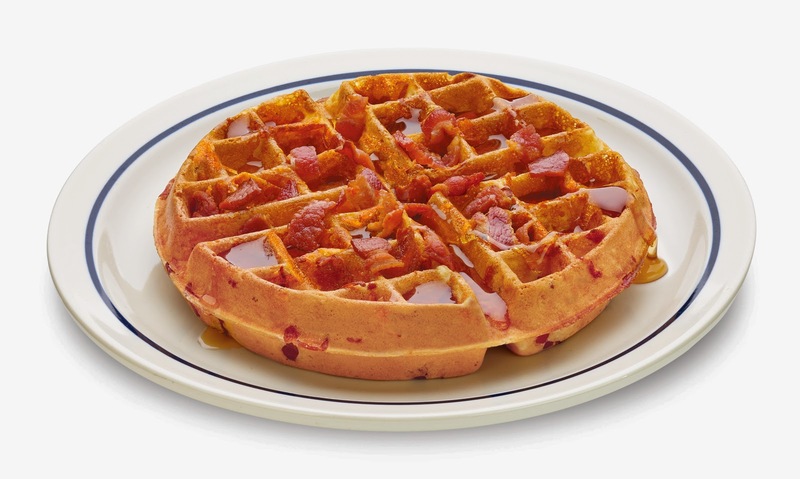 Bac’ n’ Cheddar: A traditional thick, crispy Belgian waffle with savory chopped hickory bacon and cheddar cheese baked-in, then topped with bacon pieces. This one totally has my name all over it! Very Blueberry Cheesecake: A traditional thick, crispy Belgian waffle with plump blueberries and NY cheesecake pieces baked-in, then topped with cheesecake pieces & blueberries in lightly sweetened syrup. Hmm, maybe a half order of the first variety and a half of this one might be a good savory and sweet combo! For more information or to find an IHOP restaurant near you, please visit www.IHOP.com. 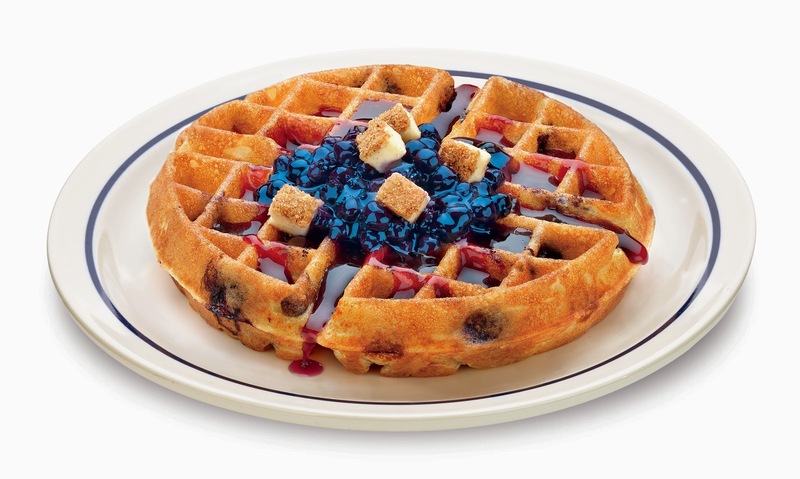 Follow IHOP on Facebook and Twitter. I've been seeing a lot of savory waffles lately. It sounds good, but I think that Blueberry Cheesecake one would be delicious.